The rumors were true – there is a 64 GB Zune HD! Our new media player is set to launch April 12th for $349.99 and will be available in a choice of colors: either Platinum, Black, Blue, Red, Green, Purple or Magenta. The device, which will hold 16,000 songs or 20 hours of high-def video, will initially be available at www.ZuneOriginals.com with other retailers to follow later on. The other Zune devices (the 16 and 32 GB models) will each get a price cut too, starting immediately. 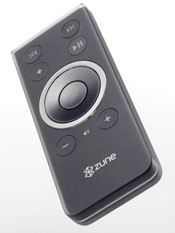 Now the Zune 16GB device is $199.99 and the Zune HD 32GB device is $269.99. Other features of the new Zune HD include an OLED multi-touch screen, built-in HD radio, HD video out capabilities and an Internet browser. A later firmware update will add more options like Smart DJ auto-playlists, the ability to browse, stream and acquire music from Zune Marketplace on your TV and expanded codec support.